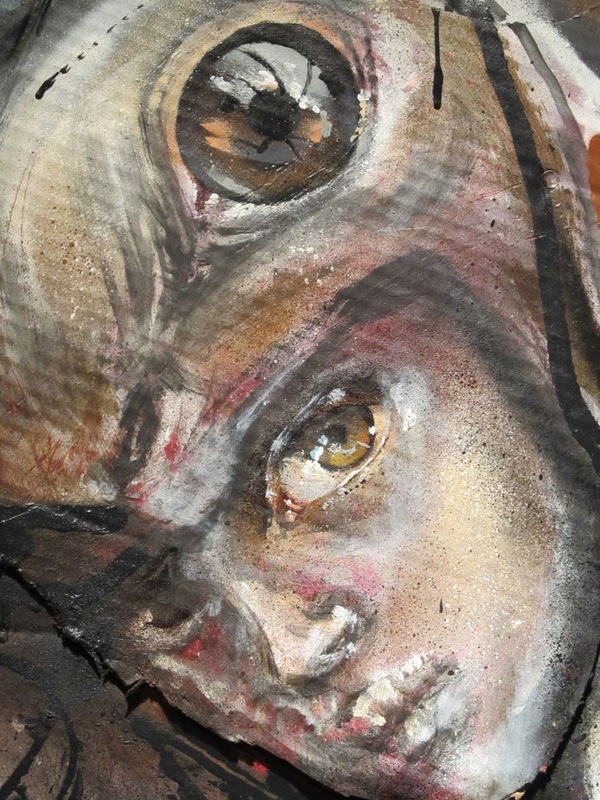 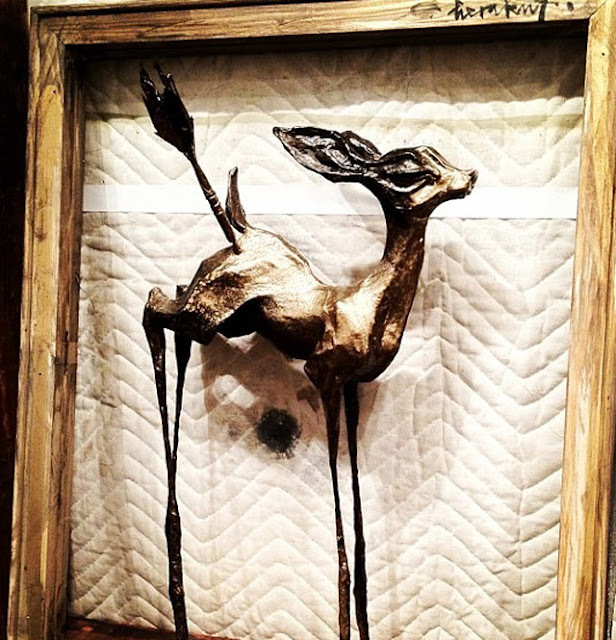 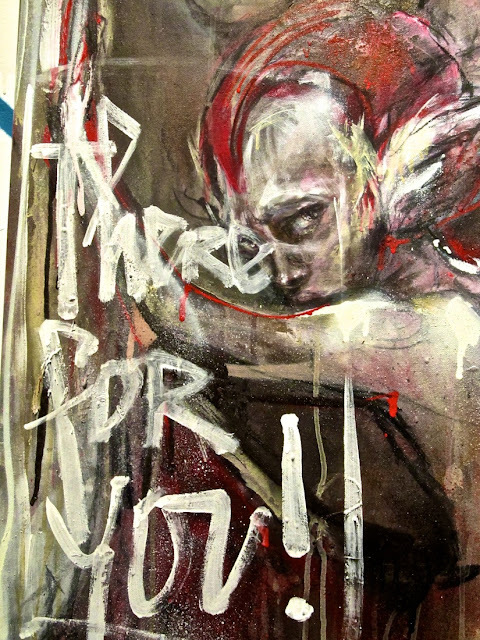 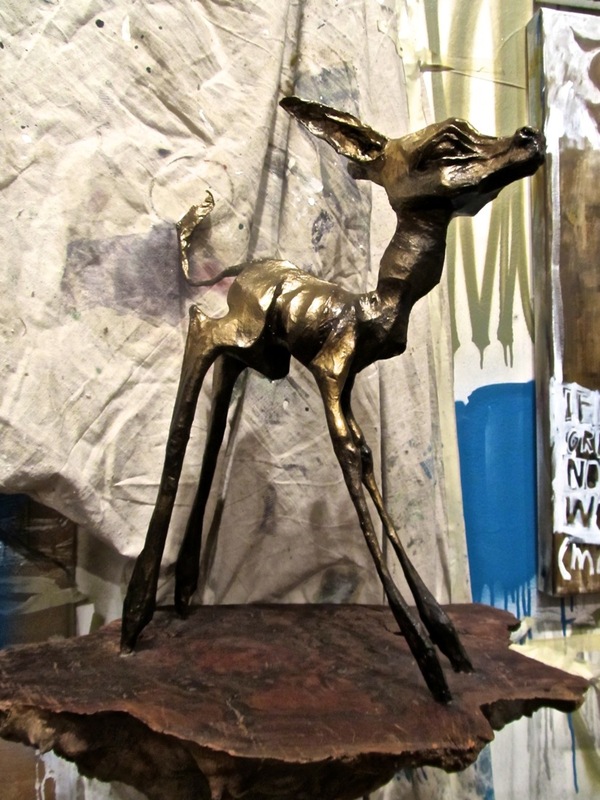 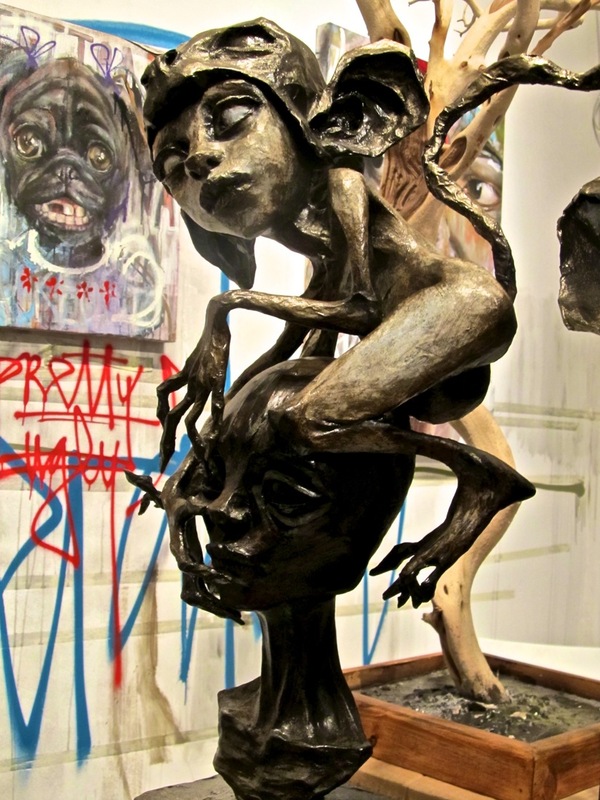 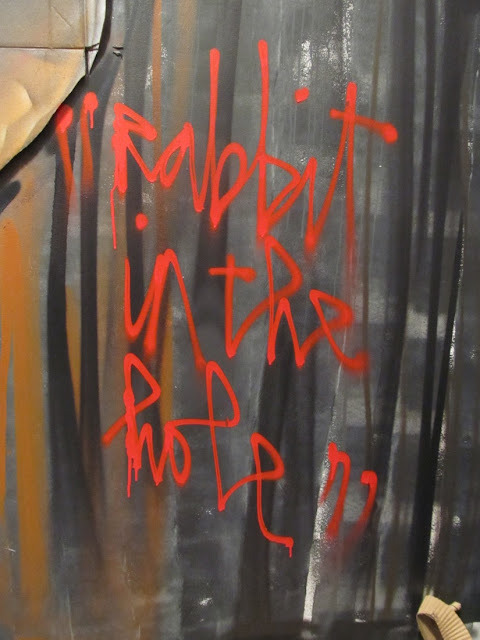 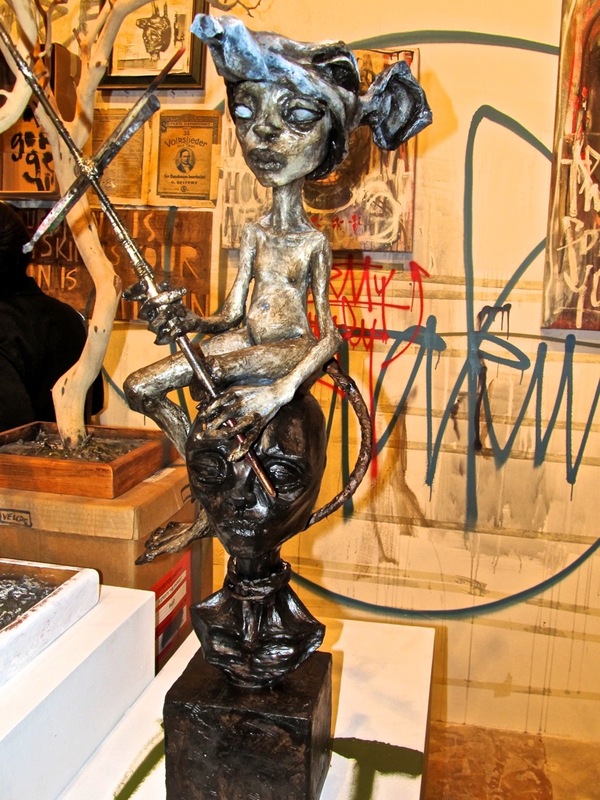 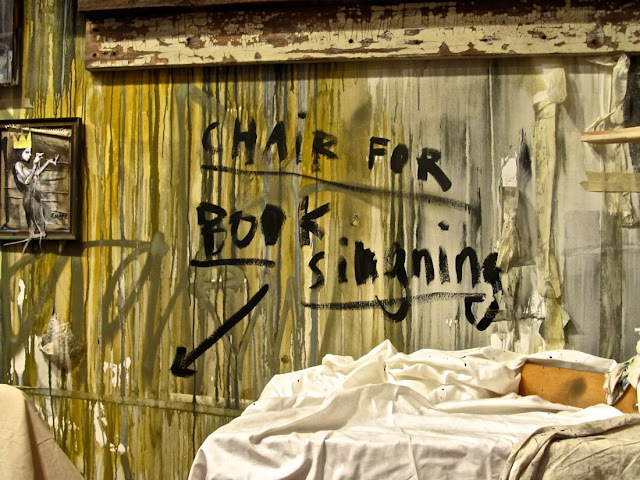 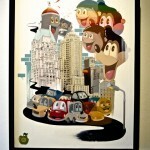 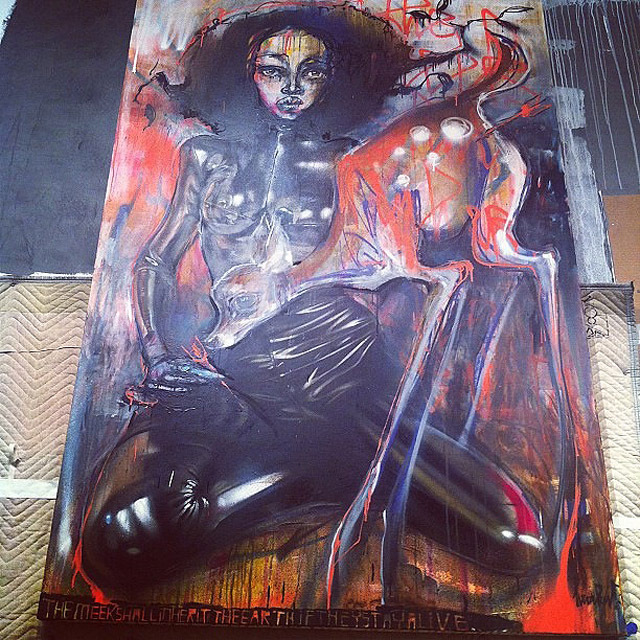 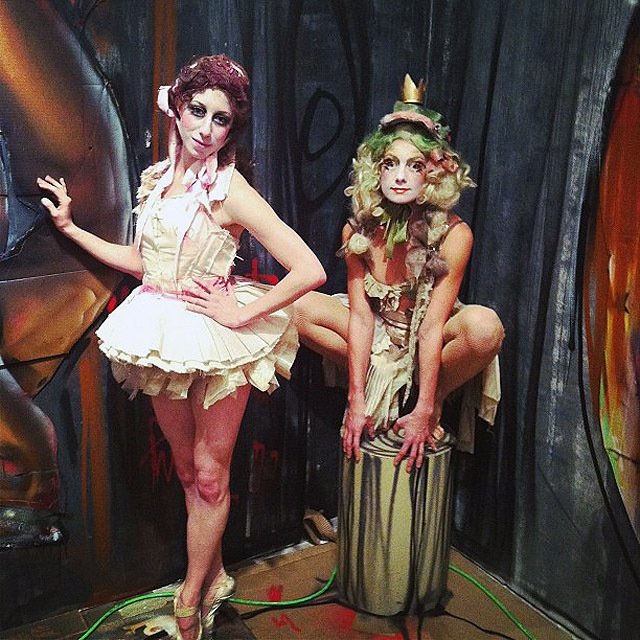 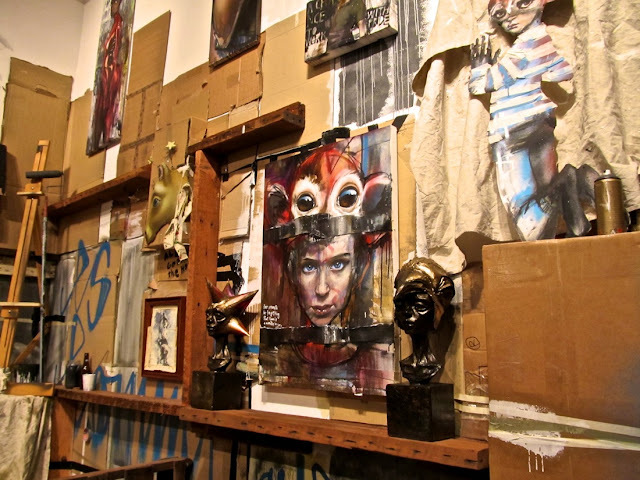 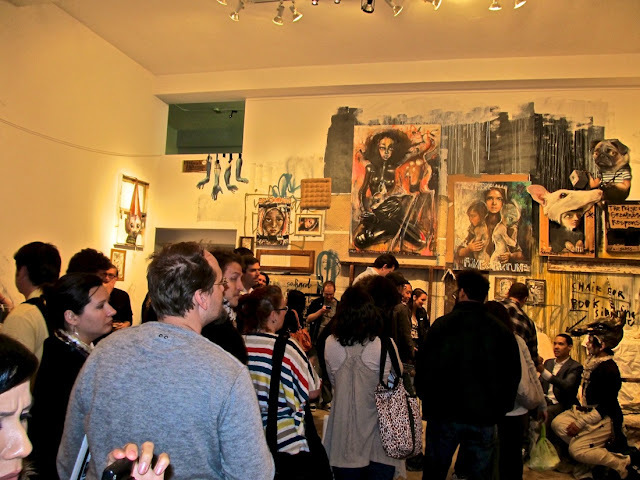 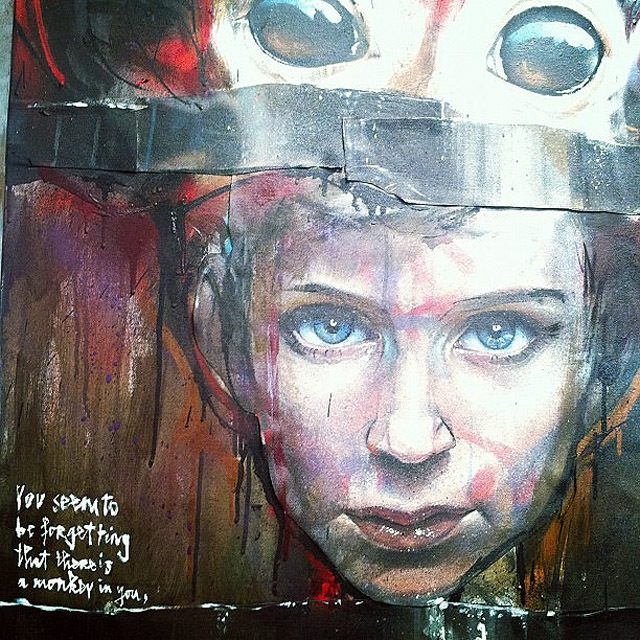 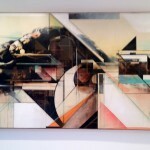 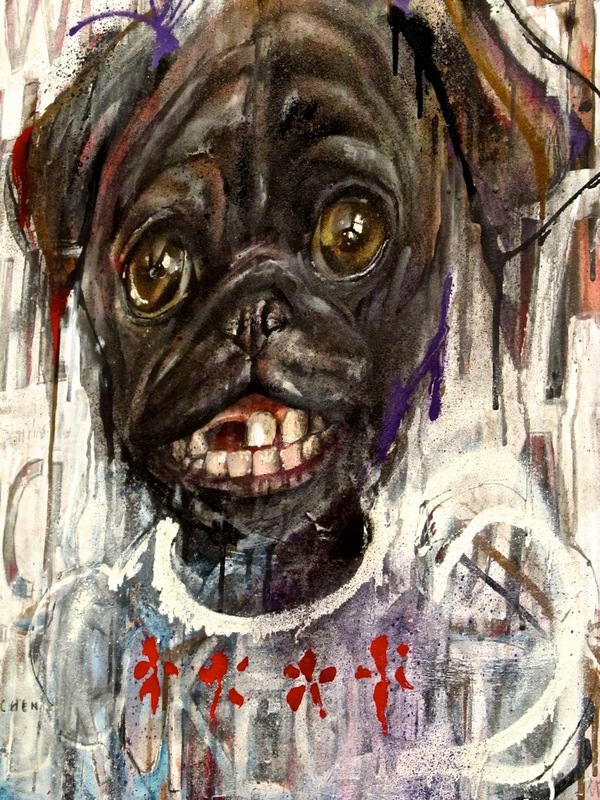 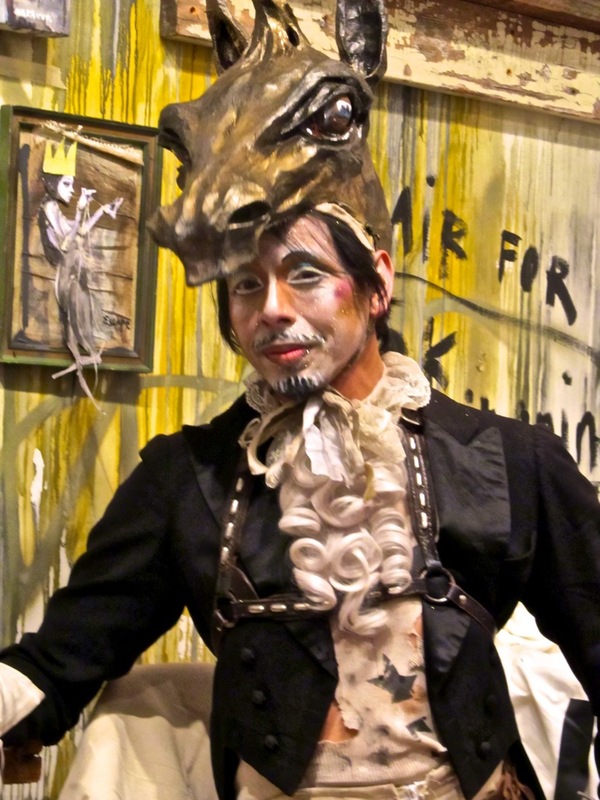 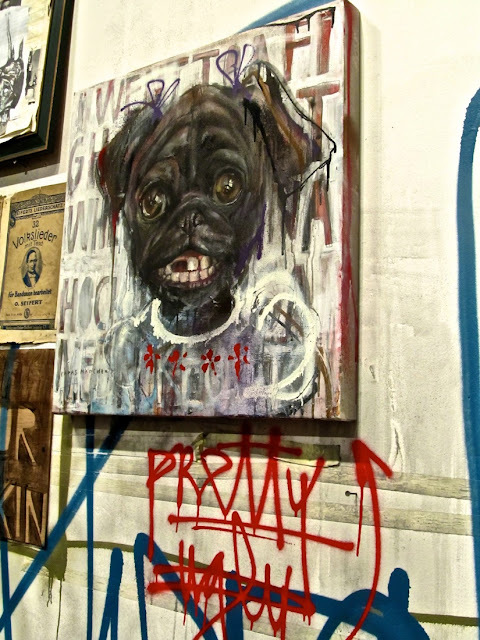 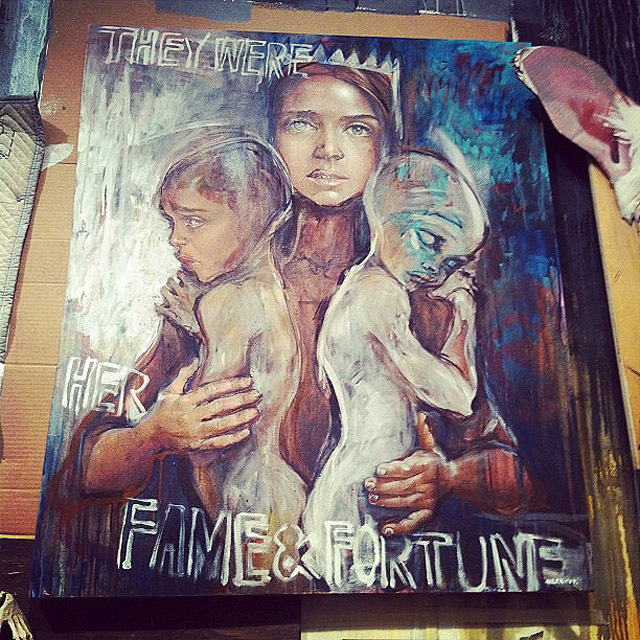 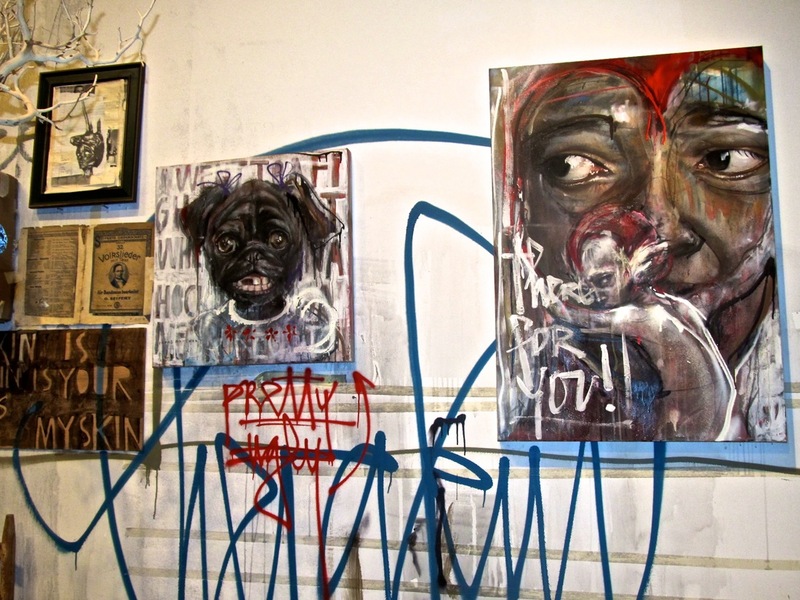 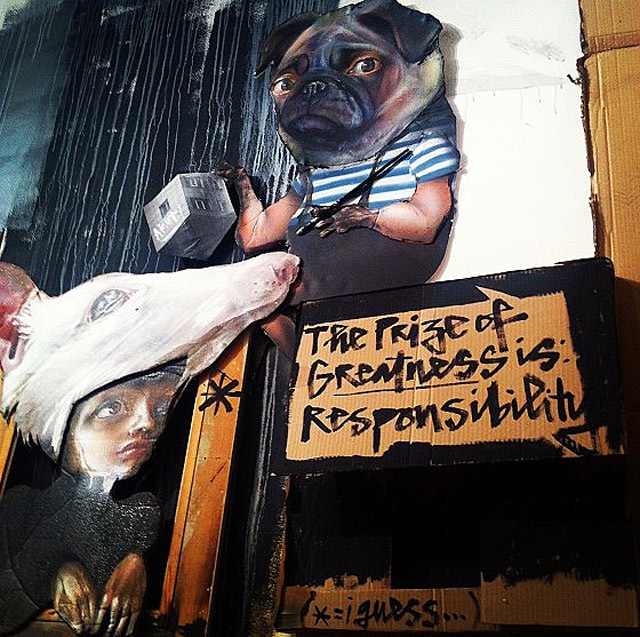 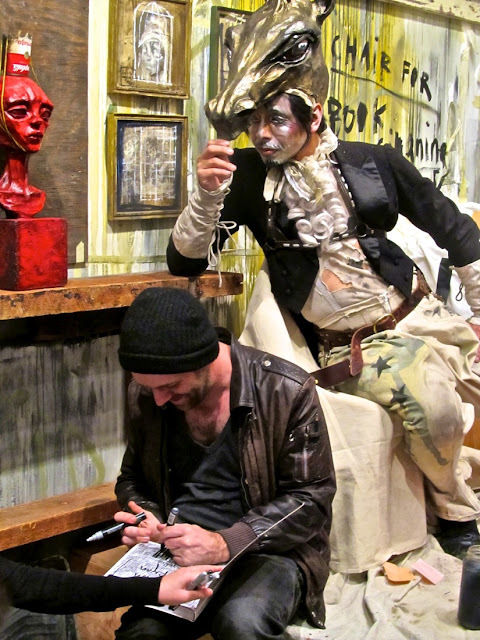 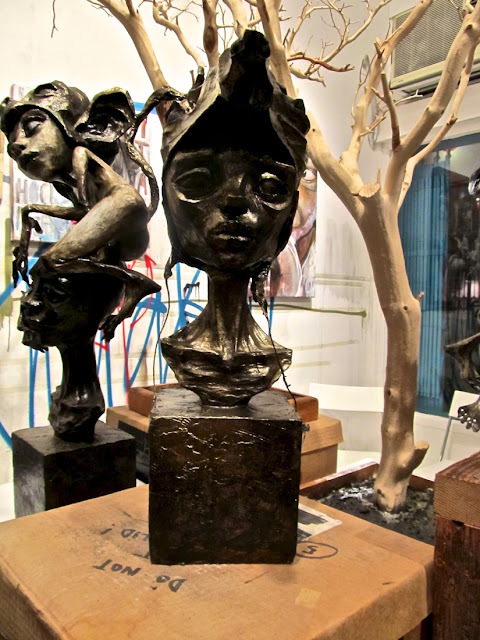 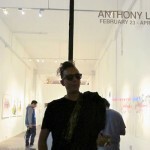 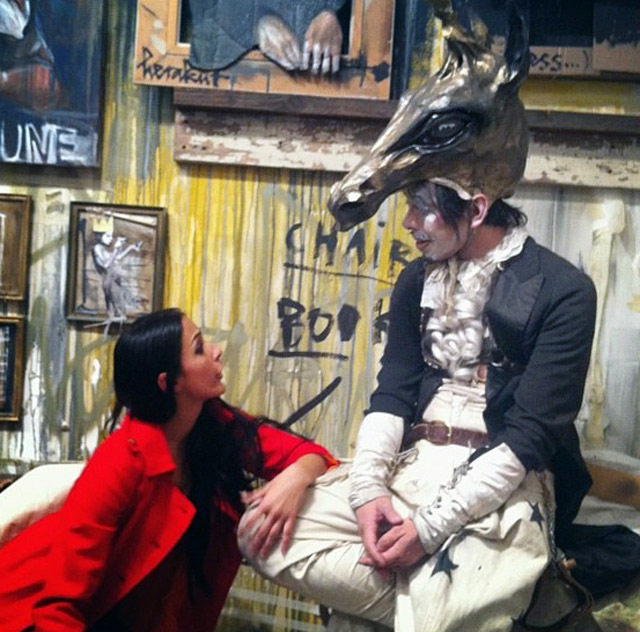 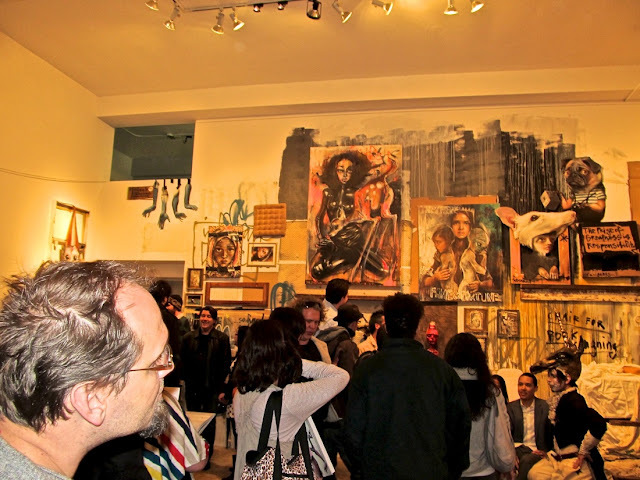 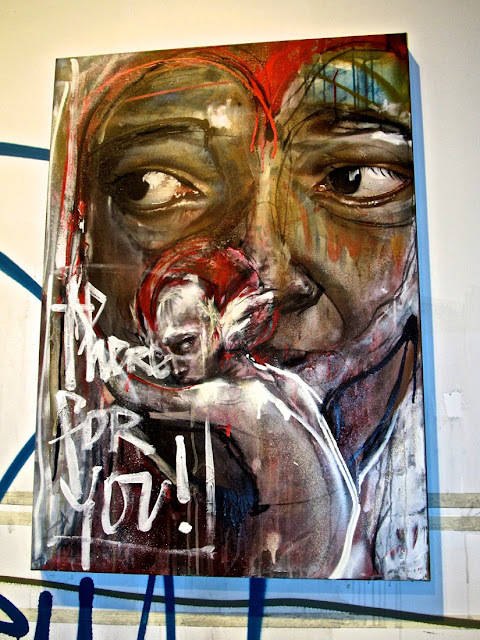 Busy evening in Los Angeles, we also attended the opening of Herakut‘s new solo exhibition “After The Laughter”. 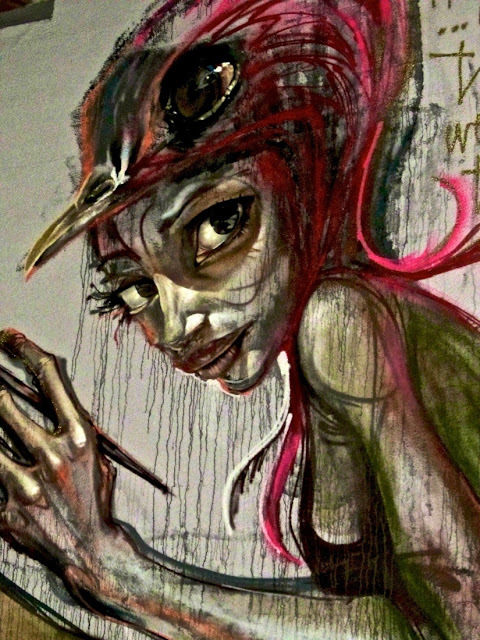 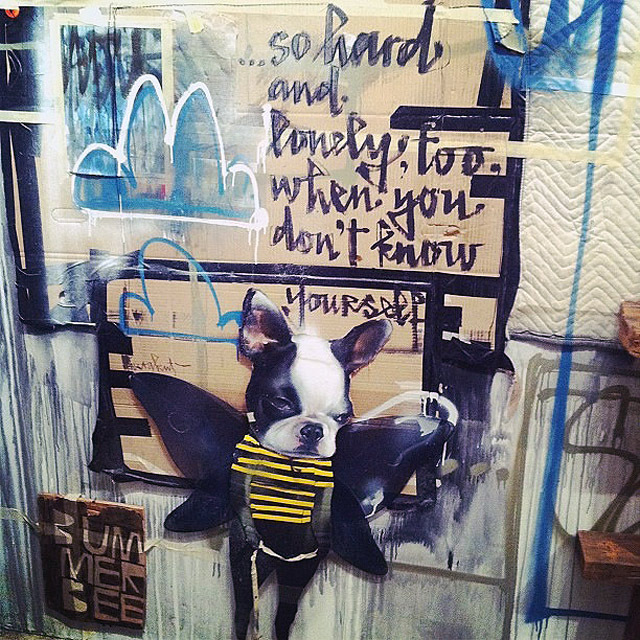 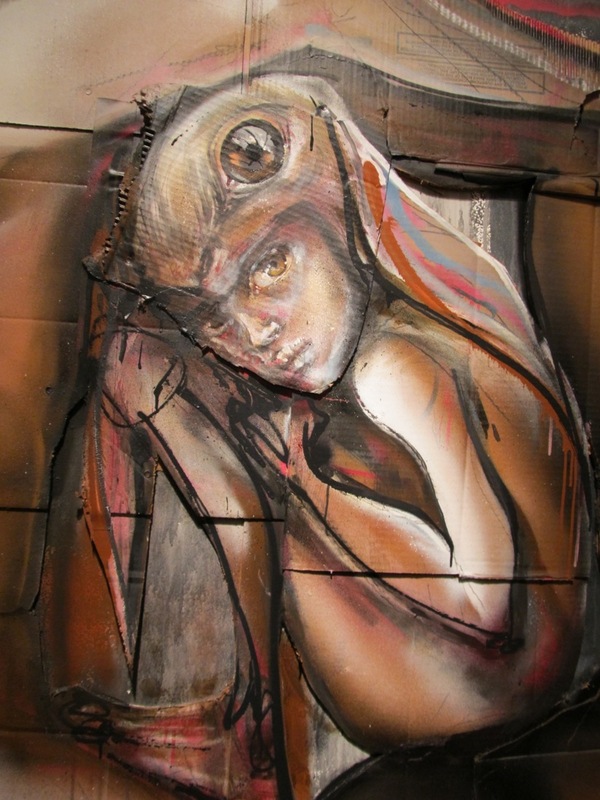 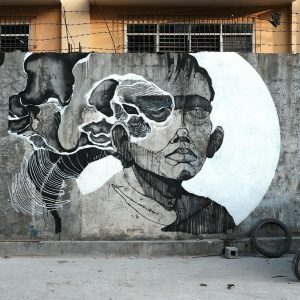 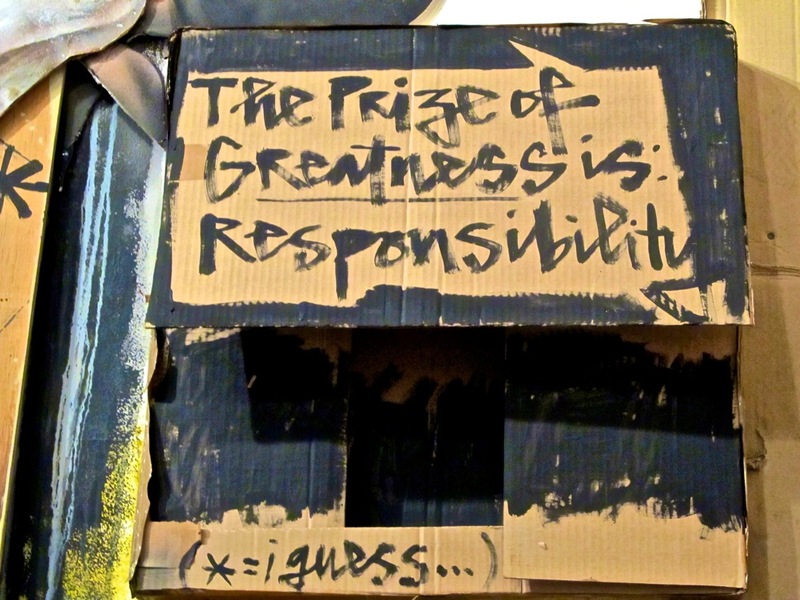 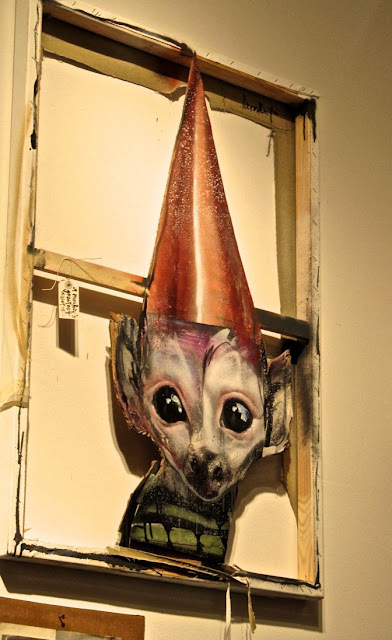 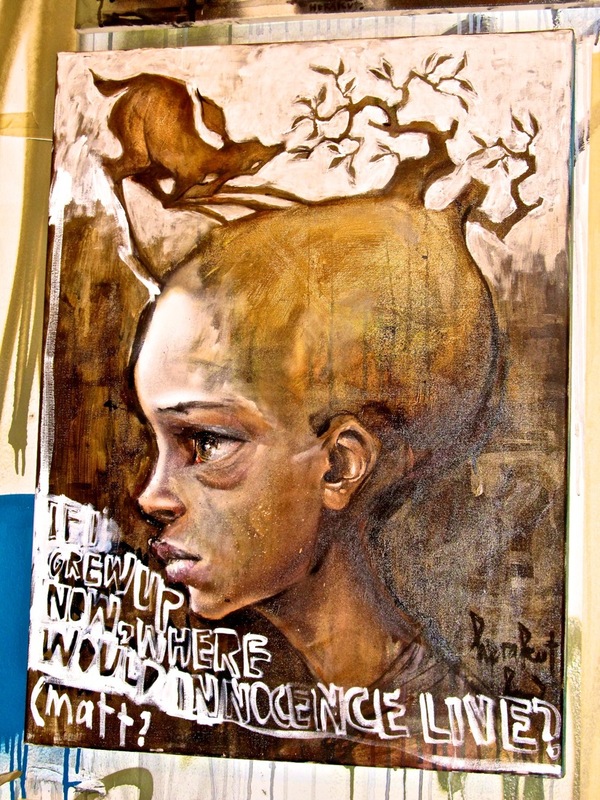 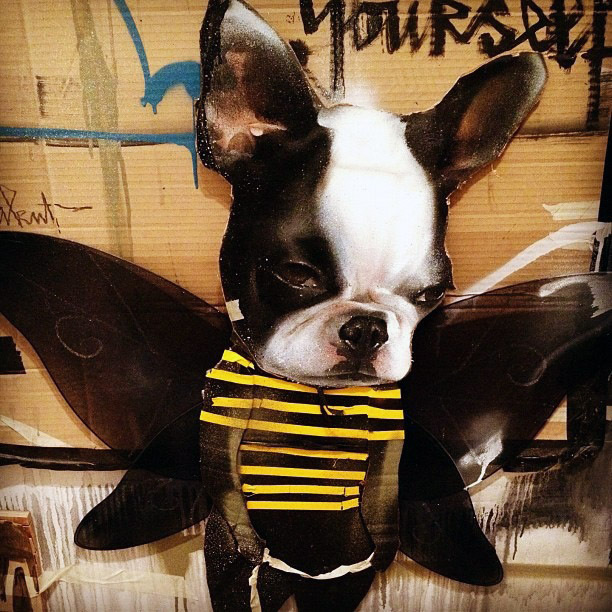 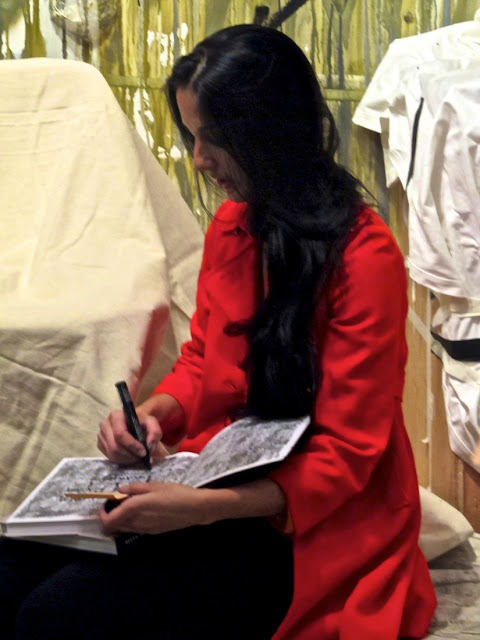 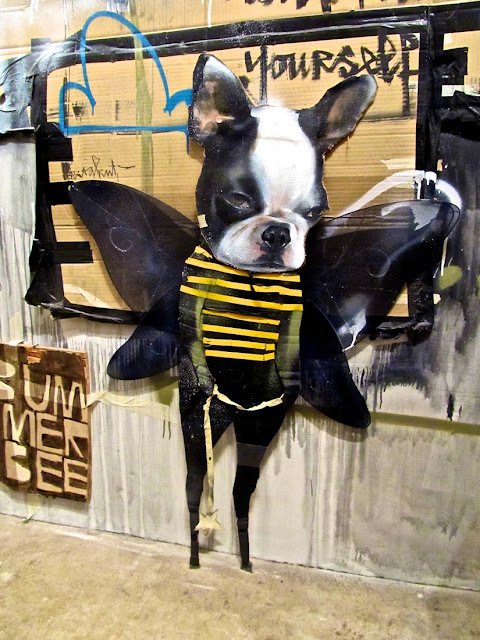 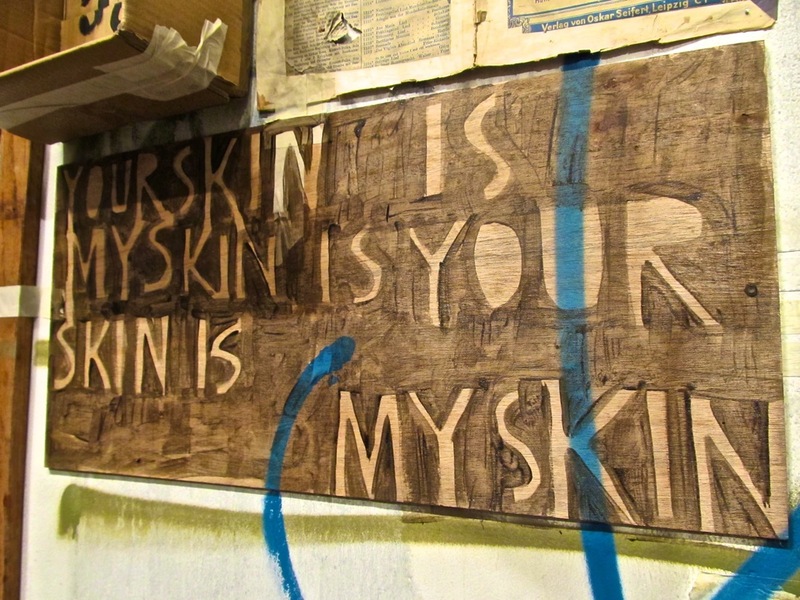 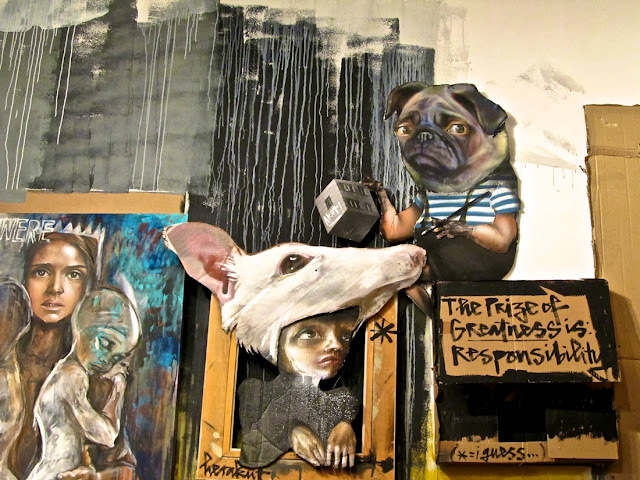 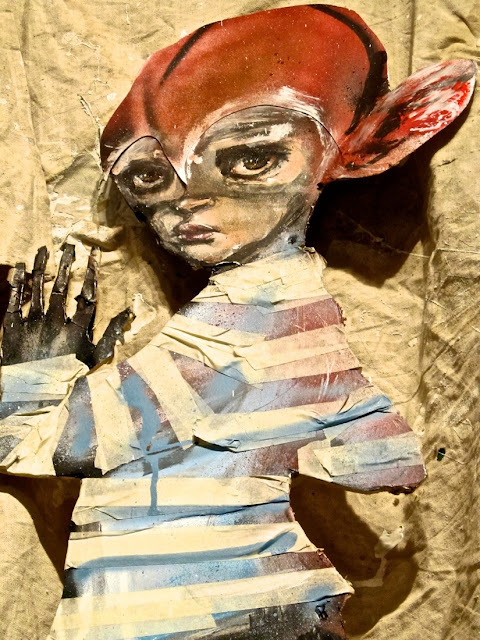 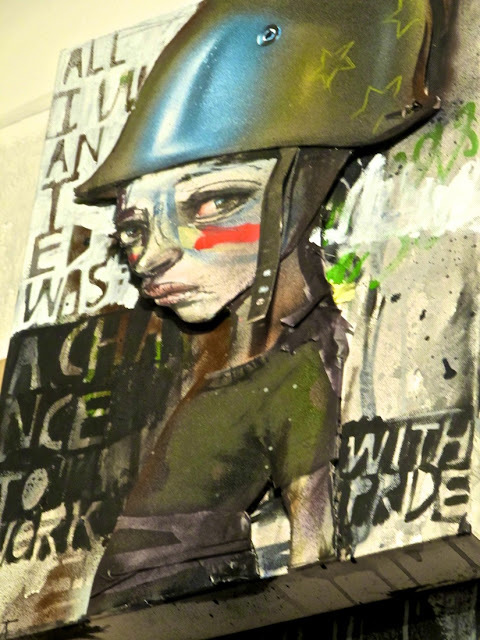 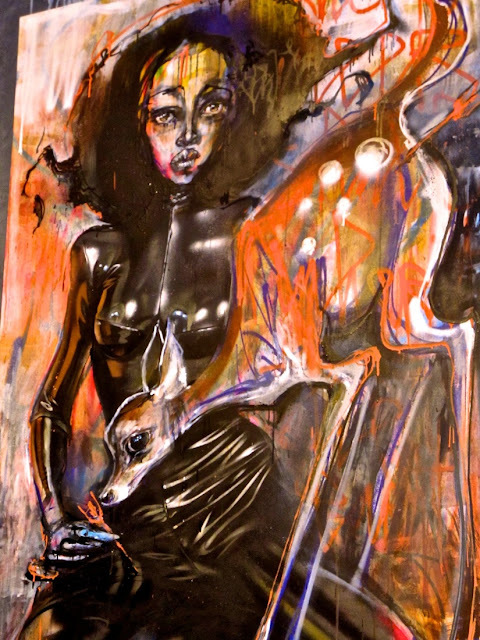 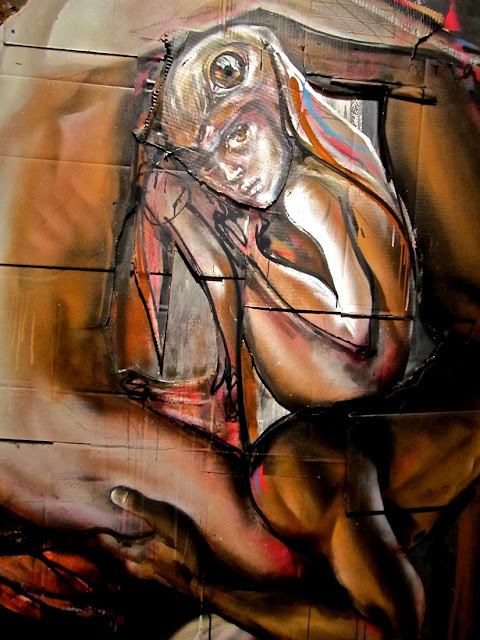 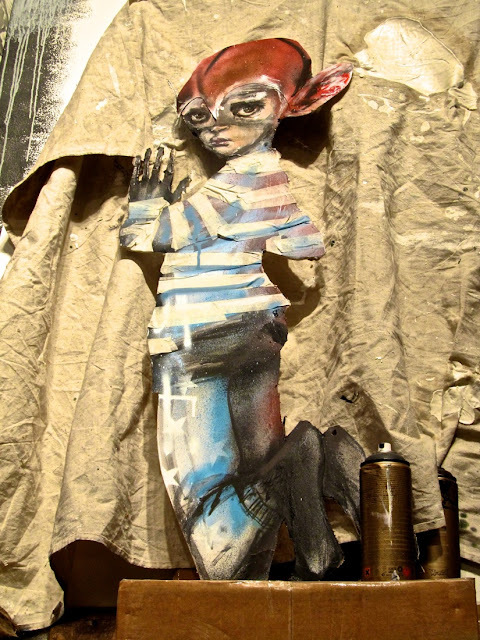 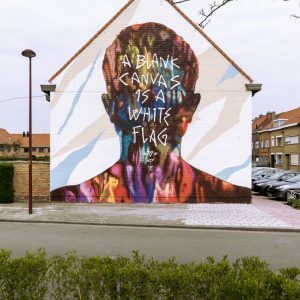 After a week of work inside and outside the Lebasse Projects space in Chinatown, Herakut unveiled a beautiful exhibition with a selection of paintings, drawings, photographies, sculptures and many wall installations. 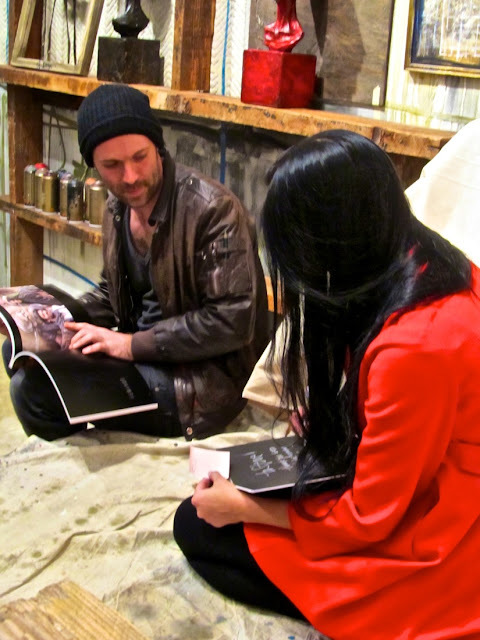 In conjunction with the opening, the German duo also released and signed their second book also titled “After The Laughter”. 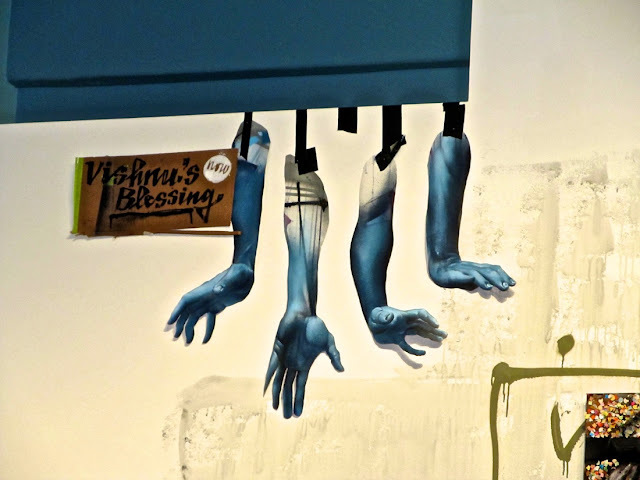 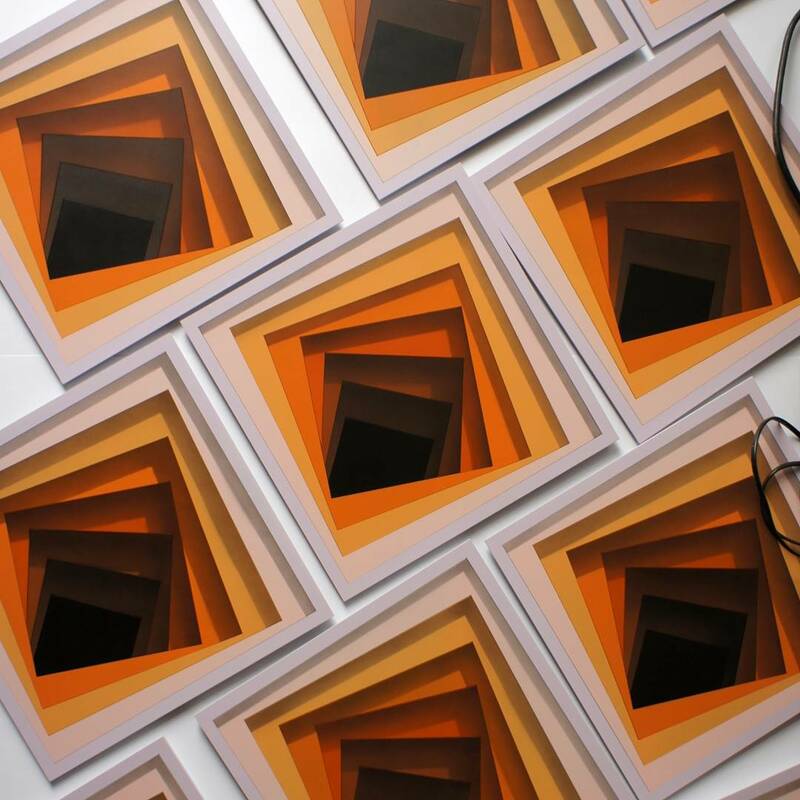 We really enjoyed this fully immersive show/installation and we can only recommend to stop by LeBasse Projects to check out “After The Laughter” which runs until March 17th.